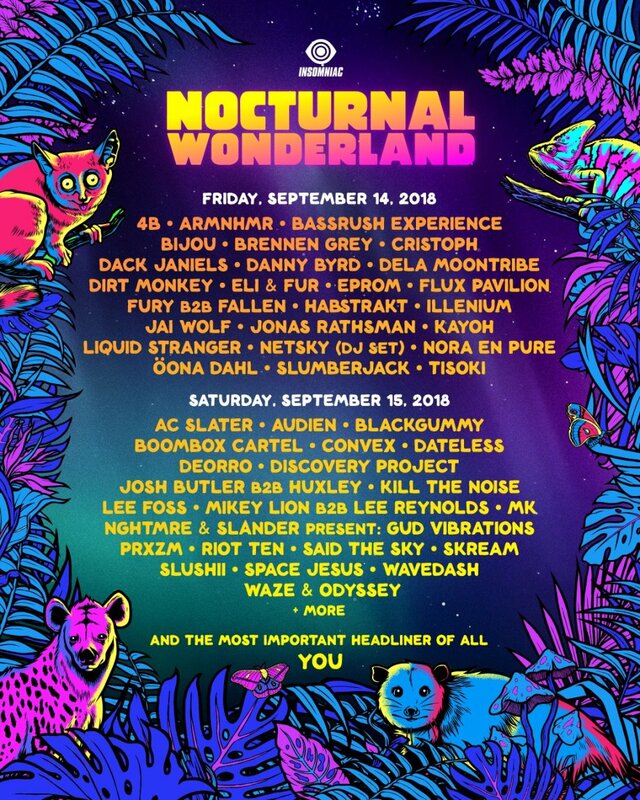 It has been about a week since headliners fell down the rabbit hole and entered Nocturnal Wonderland to celebrate the 23rd birthday of the event. 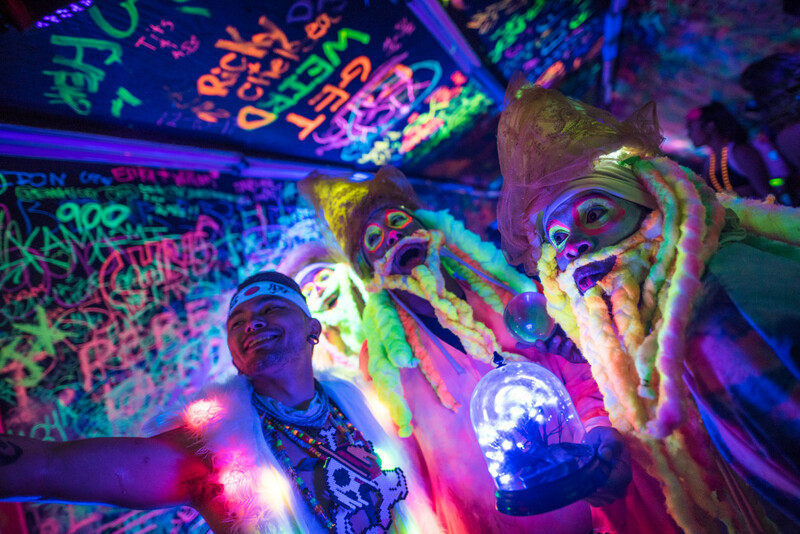 Over 75,000 headliners from all around the world traveled to the largest blacklight party in all of Southern California. 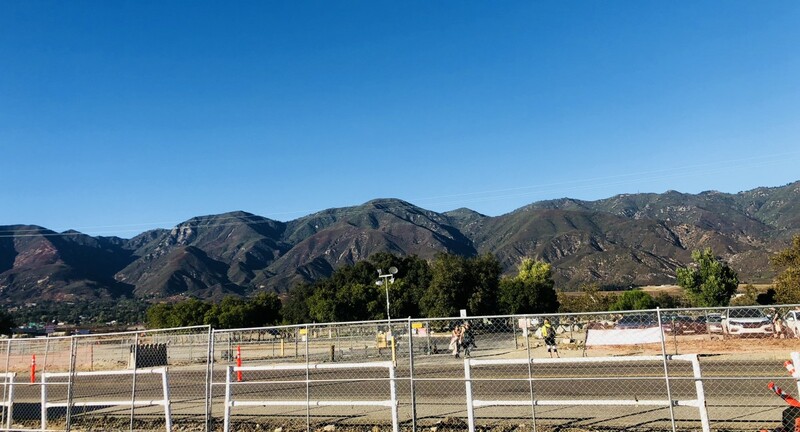 On September 14 and 15, headliners flooded to Glen Helen Regional Park located in San Bernardino, California for a weekend where humans were immersed into a land down under full of interactive art and music. Now just a heads up, this is being written from the perspective of where this was someone&apos;s first time not only in California but first time attending an Insomniac event in California. So not only was there a different perspective on music festivals witnessed but the whole Californian rave culture was easily readable and presented during the weekend too. 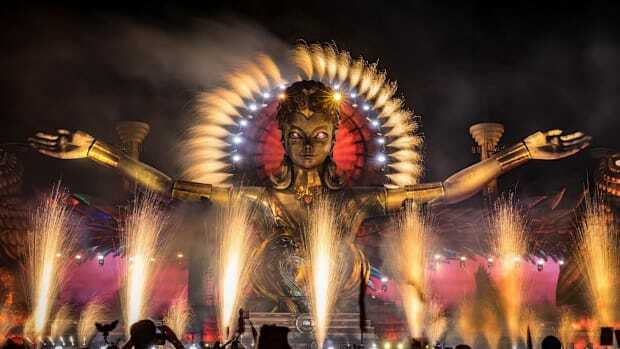 Attending an Insomniac festival in California is a dream for several ravers because Insomniac Events was founded by Pasquale Rotella, who resides in California with his family and their headquarters are in Beverly Hills, California. This is their home state, and there indeed is no place like home. It is equivalent to attending a sporting event at the home state. The energy, noise, and overall experiences are like a night and day comparisons to an away game. Not to mention, that this is the 23rd anniversary of this festival so this is not Insomniac&apos;s first rodeo with this event. The drive to any festival venue always plays a significant role in the build-up towards the arrival to the festival grounds. Taking sharp corners and driving into a valley was super visually appealing. I guess in a way this begins the trip down into Nocturnal Wonderland. It helps paint the picture of how the weekend is going to play because cell service gets lost the deeper you go. From afar, lights are easily spotted, and Nocturnal Wonderland flags are flying high to welcome all headliners. The parking and organization of where to go are extraordinarily orderly and structured. There is a little bit of walk to the venue. However, this is a great time to spark conversations with other headliners, appreciate an array of outfits and totems, and really enjoy the view that surrounds the grounds. Not to mention the long walks allows for the security and ID checkpoints to never get overcrowded because each day wait times were under around 15-20 minutes. The security checkpoints do offer strict searches and metal detectors, but it is a comforting feeling that Insomniac makes it clear that the safety of their guests is a top priority. It is better to be safe than sorry, and they have plenty of different lines to choose from which helps speeds along the process. Waking up to the festival the sounds of creatures from Nocturnal Wonderland play distinctly in the background. It was like walking up to another dimension. The convenience of walking straight up to real bathrooms and a bar was super convenient. 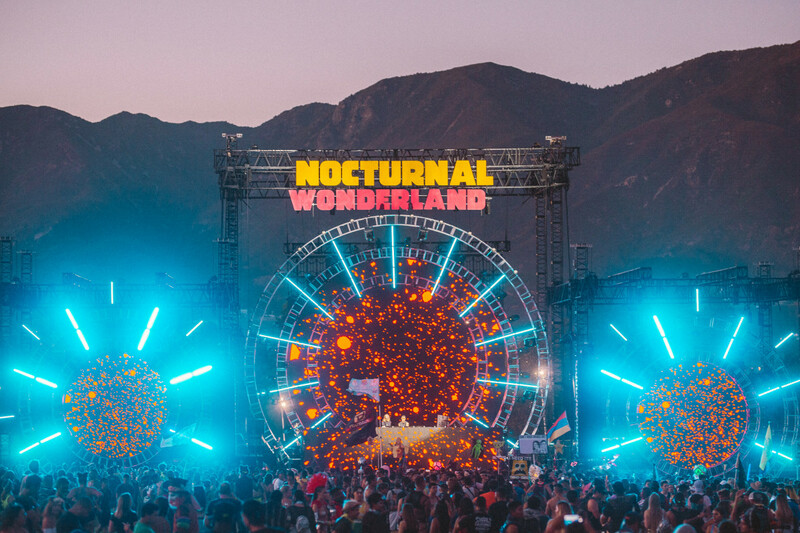 Nocturnal Wonderland welcomes headliners with a handful of performers and entertainers right before entering the forest walkway that leads everybody to the main festival grounds. 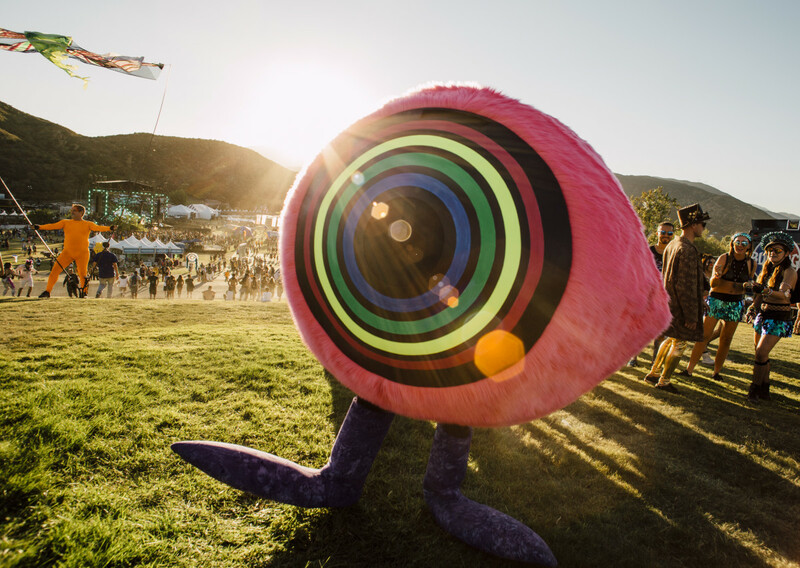 The festival grounds contained four unique, high-quality stage designs, a blacklit playground, and a wonderland full of the most loving crowd in all of California. Walking into the festival grounds brings a rush hopefully a little similar to when guests walk into the Las Vegas Motorspeedway. There is a spot on the top of the hill by the Sunken Garden where one can see a birds view of the whole festival, and it is a sight to behold. There was so much to see and do that it was difficult to choose where to start the journey for the weekend. 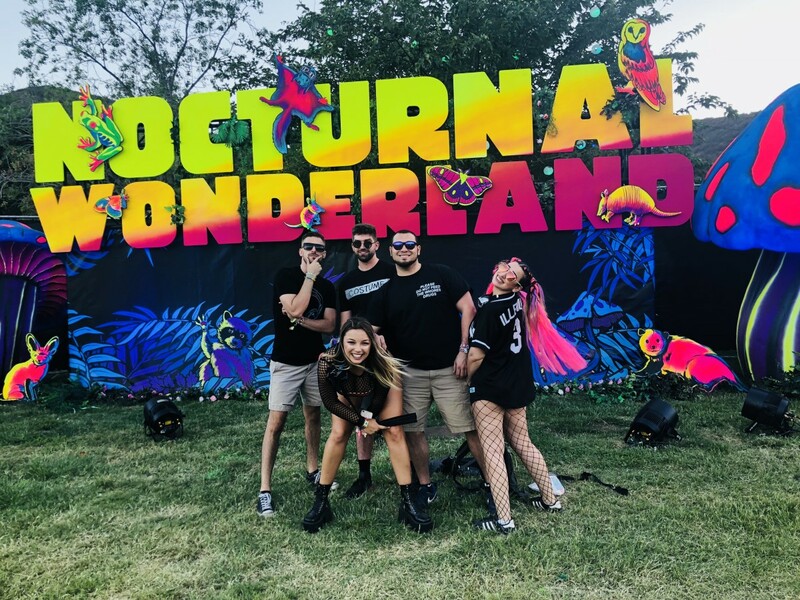 There was no doubt in my head that seeing the main stage design came to mind first as well as the need to grab a photo in front of the famous &apos;Nocturnal Wonderland&apos; sign came to a close second. 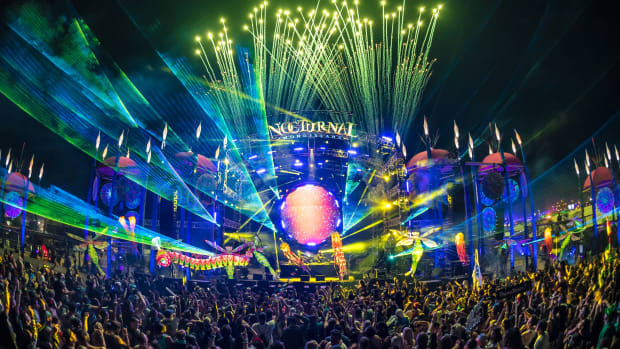 The famous Nocturnal Wonderland is iconic to this festival with its groovy colors and in a way is almost like the Hollywood sign of the festival. 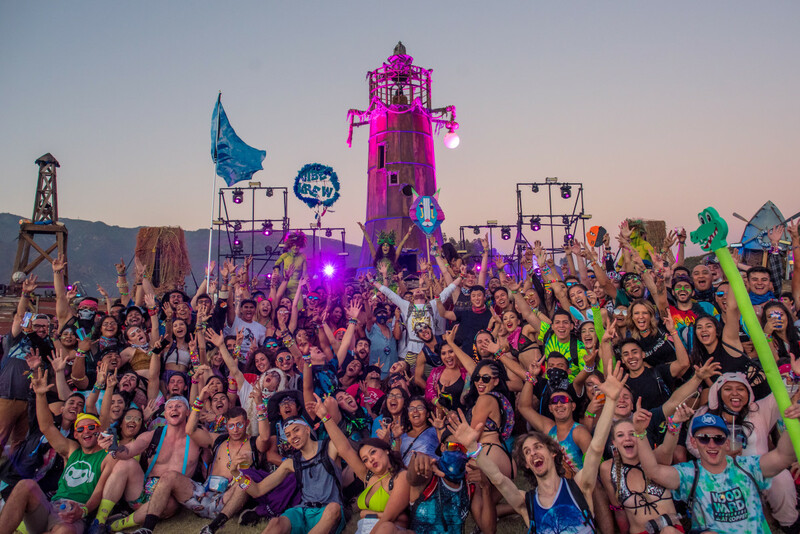 Its a great moment for any festival squad to come together for a family photo before everyone gets lost in wonderland. The wait to take the picture is not even horrible either most people are in and out within minutes and the Wolves’ Den, which is mainstage, provides the perfect soundtrack while waiting. 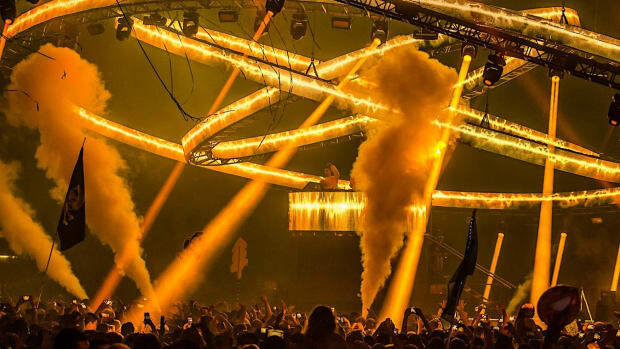 The massive Wolves’ Den, towering at 60-feet and standing 141-feet wide, featured 81 pieces of pyro and eight lasers, sucked the crowd into another universe. BIJOU threw down such a grand welcoming set full of future bass and house music that really set the mood while the sun was still up. Then the list continues with SLUMBERJACK, ARMNHMR, and Habstrakt. Personally, the artists that were a huge surprise was ARMNHMR. Shifted from strong bass to feelsy in a matter of seconds. I usually tend to take breaks from the main stage, but truthfully there was not a moment that the main stage stopped popping off during day one. It was banger after banger including strong visuals for each dj. Theaward for best day one act without question goes towards Jai Wolf. The soft beat tracks set the perfect mood in the cold nighttime California air. The pyro light shows really came to life for his set. 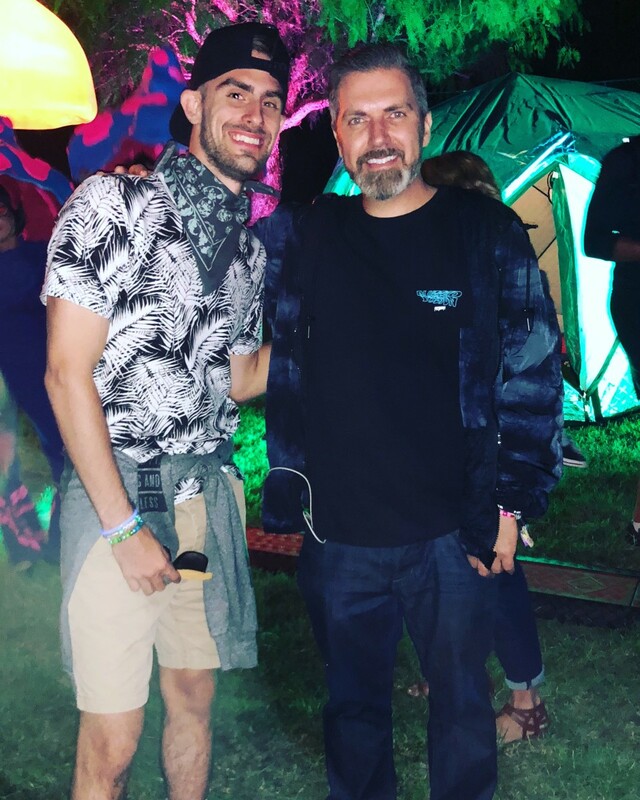 Illenium also premiered for the first time ever his Awake 2.0 show at Nocturnal Wonderland, which he is now touring to different cities to share. This was one heck of a live show, and it was beautiful seeing a full piano, drums, and guitar all come together along with the Illenium playing all at the same time unifying several sounds and symphonies to create one unforgettable experience. During Illenium&apos;s set, the true colors of Californian ravers really shined. These ravers are the most beautiful individuals that walk this planet. The fact these people were okay with cutting in between them before an Illenium show says a lot about there character and shows that these people are just here for the love, music, and good vibes. Not to mention how careful these ravers rave. Hand fans all over and everyone is not afraid to share the wealth and fan one another. The feeling of all being equal is made clear, and it&apos;s a great atmosphere. 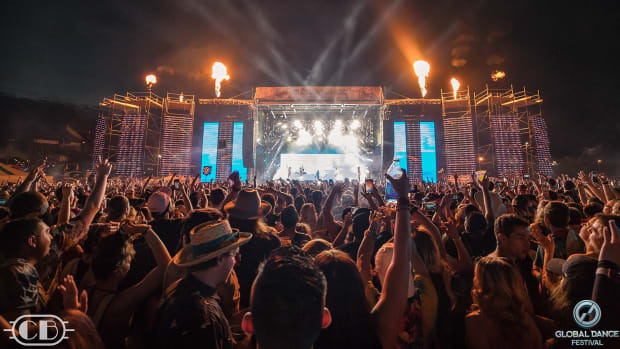 Festivalgoers also enjoyed an array of food and drank during their two-night visit to wonderland, choosing from a variety of fan-favorite vendors such as Dogtown Dogs, Fresh N Juicy, The Classic Taco and more. Campers could satisfy late-night hunger pangs with The Boba Truck and Rock N Roll Pizza, among others. The food that was offered to headliners was healthy and mouthwatering. Vegan dishes were also made available to guests. There were glow-in-the-dark tunnels, live mural painting, and psychedelic 3D art pieces that made the walk to the food and vendors enjoyable. The first day was dedicated to music because of how great every artist on the main stage was. Its as if everybody&apos;s feet were glued to the dancefloor because the dancing was never ending and the music just kept getting better. It felt good to dedicate a whole day just to being in the crowd and this was by choice because of how overwhelming the view from mainstage was along with the sets. 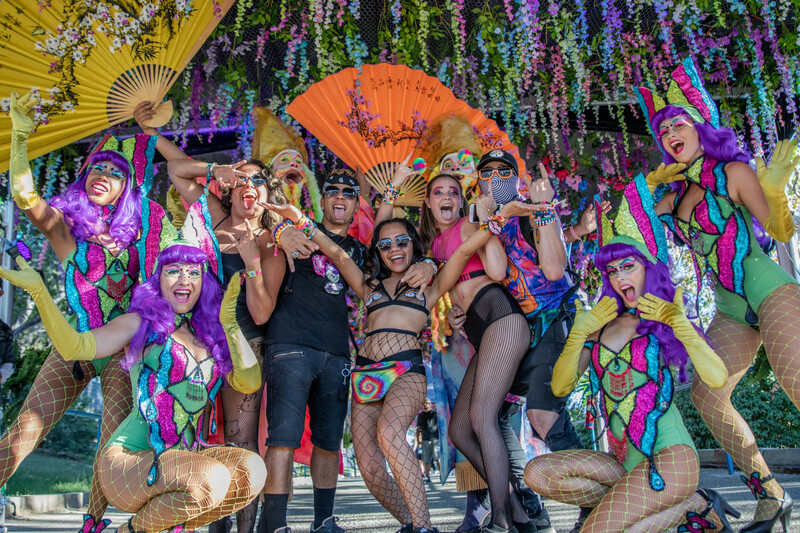 The people of Nocturnal Wonderland indeed help intensify the want to stay at Wolves’ Den, and that is hard to find at music festivals these days. Plenty of room to float from space to space and it was never difficult to see people. There are even viewpoints where one can relax in the grass and still be a part of the main stage magic! 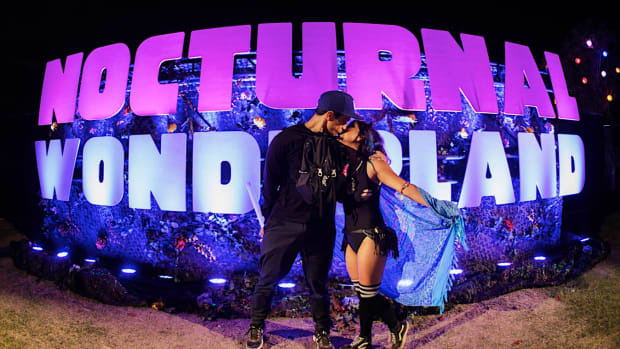 Nocturnal Wonderland is the best for several reasons, but honestly, the most refreshing one is that the festival doesn&apos;t open until 5:00 p.m. PST and is open until 2:00 a.m. PST with of course silent discos in the campgrounds after the festival. Every festival should consider later start times because this allows guests never to be rushed in the mornings. The calmer the morning the less stress is formed, and everything feels natural. At times the thought of even attending massive rave went right out the window. This then causes more attendees to want to show up right at the start of the festival because everyone has been patiently waiting all day to rave and everyone is well rested. The second day quickly approached, the desire to fall down the rabbit hole consumed the bodies of everybody. Well rested, it was time to get ready for rave day. Since the first day was focused all around the music the second day was dedicated to exploring the festival grounds. This was the day where all the interactive art got to be played with and conversations with strangers that soon turned into family happened. BlackGummy and the Wolves&apos; Den is where the second day started, but then his music quickly painted a different path. It leads to the tents where all the blacklights were. It was there that the vision of the festival made itself known. This wasn&apos;t just a music festival it was a music festival inside the most significant old school black light and LED rave in Southern California. The music was just another plus but to see everyone have paint and leave there mark was something. It was fitting seeing for once ravers get off their phones and interact with the environment. The path then led everyone to the Boombox Art Cart bringing in the real underground house vibes. Entertainers fully decked from head to toe with makeup flooded the ground and created a funny experience for all. If one looked close enough, they would have seen Mr. Rotella, and his daughter Rainbow and son Forest posted up in this area creating memories for themselves. This was a nice area to breathe and to take a sneak peek at what Camp EDC looks like in Las Vegas and has employees available to ask any questions about it. AC Slater then delivered an exact future bass set and really went back to his old deep house roots, and it was entertaining. Audien, of course, brought the tears and feels and Boombox Cartel brought the fire and massive bass drops. It was time to venture off again and finally check out the Labyrinth stage. 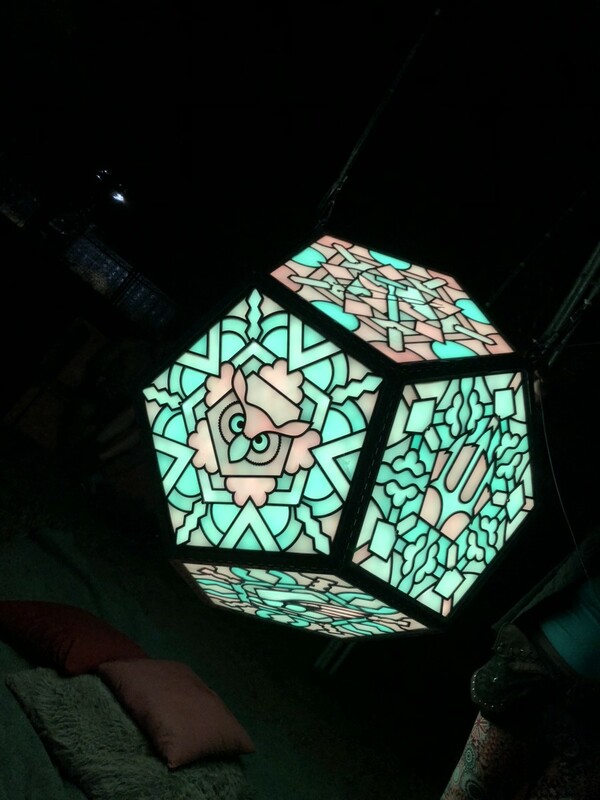 A little of this stage was experienced during the first day for Liquid Stranger. 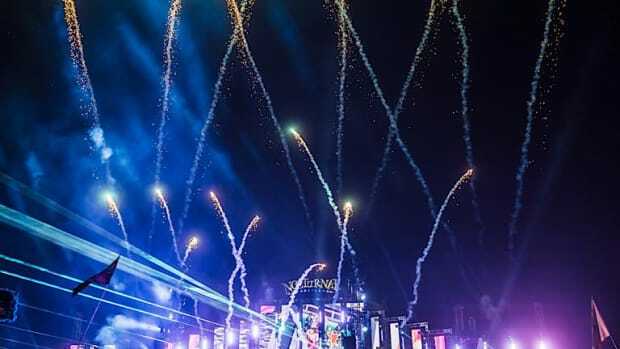 The 48-feet big, 84-feet full Labyrinth stage included eight flame heads, six lasers, and showered headliners with 36 pounds of confetti. GUD VIBRATIONS hosted the stage the second day, and SLANDER and NGHTMRE brought The Atom. The Atom stage entirely moves and rotates from every angle and almosts mirroring the same concept at the nightclub in Las Vegas called Omnia. During their set, they stopped to announce that they would be turning GUD VIBRATIONS into a record label. They announced it for the first time at Nocturnal Wonderland because Southern California is where they first debuted The Atom, admitting they owed California this special announcement. Hairs from all over the body began to rise up, and goosebumps grew. It was at that moment in time history was being witnessed. A best friend then looks at me and says "California where dreams come true." That was a quote that then stuck with me for the rest of the festival. That was the best GUD VIBRATIONS set ever to be played, and during their set, all of the nighttime creatures came out to play and flooded the stage. 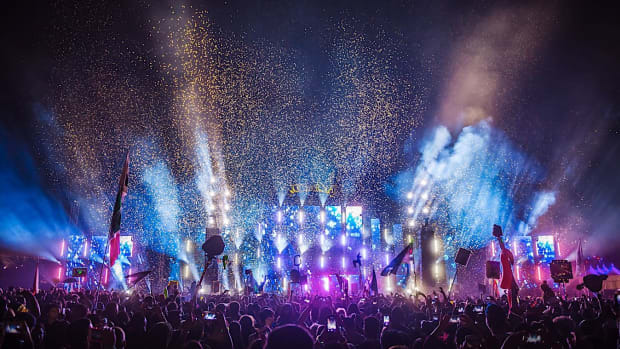 The vision of a Nocturnal Wonderland came together so quickly, and it was beautiful to see so many performers at every corner. It helps create that mood of enjoyment and fulfillment. The festival ended spending some quality time at the Sunken Garden with Lee Foss and MK who hypnotized the ears full of deep and tech house. The hill that leads to the stage shows a beautiful view of Nocturnal Wonderland. This is a place where one can take it all in and see the beautiful festival and San Bernardino. 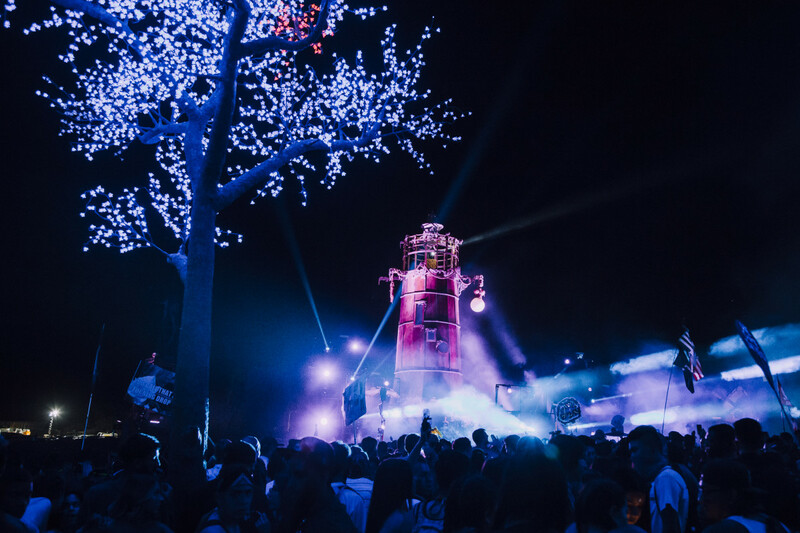 The Sunken Garden has a lighthouse and full of art that really adds character to this stage. It is gorgeous from top to bottom and creates the perfect house sanctuary for headliners. It is also slowly noting that Insomniac is now starting to add Desert Hearts acts to their events as one of my best friends was telling me. Insomniac productions are genuinely meant for the experience. It is worth noting that all of the issues that were seen either on site or behind the scenes that were causing problems were automatically fixed the following day. When exiting out of the festival guests was handed water bottles and was helped with exiting the festival. They know how to keep it organized from beginning to end and really do care about the experience of each headliner. They are the only festival that still gets me to stay until the very end until the music and lights are all turned off, and that is quite hard to accomplish these days. The California rave scene shows off to be the most laidback, easy going, most welcoming, and loving ravers ever. They care about raving safely and always have bandanas and fans on them. 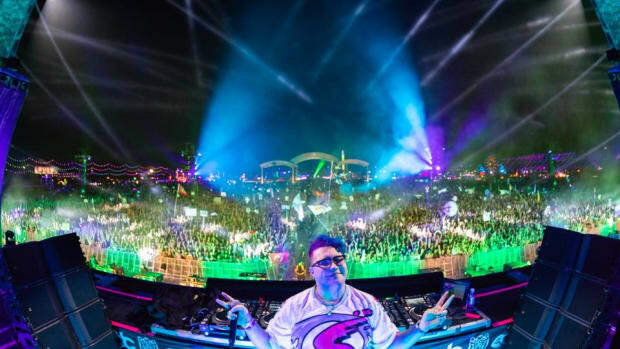 Rave culture is embedded into the state of California, and these individuals really do care about their scene, and it&apos;s easily noticeable and contagious. 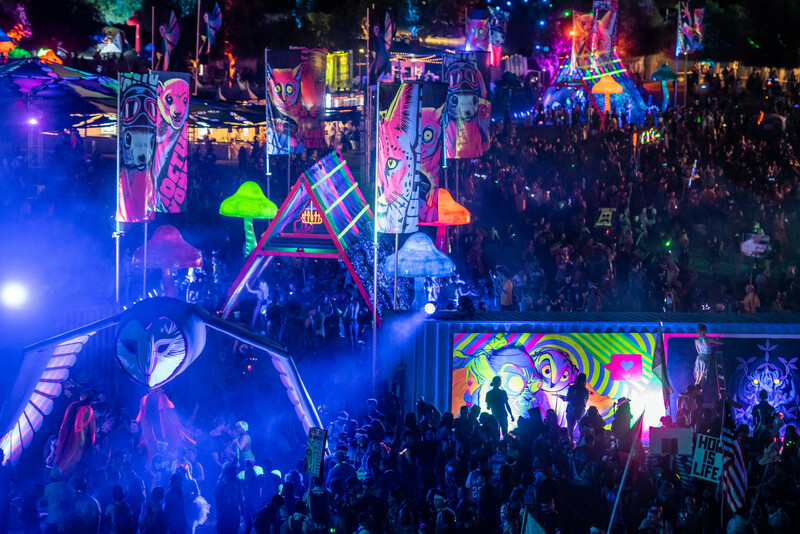 There is room for only love and peace at Nocturnal Wonderland. Not to mention that the actual old school rave scene that was founded decades ago is still very much alive and present at this festival. It is clear that families and relationships were discovered because of this festival. 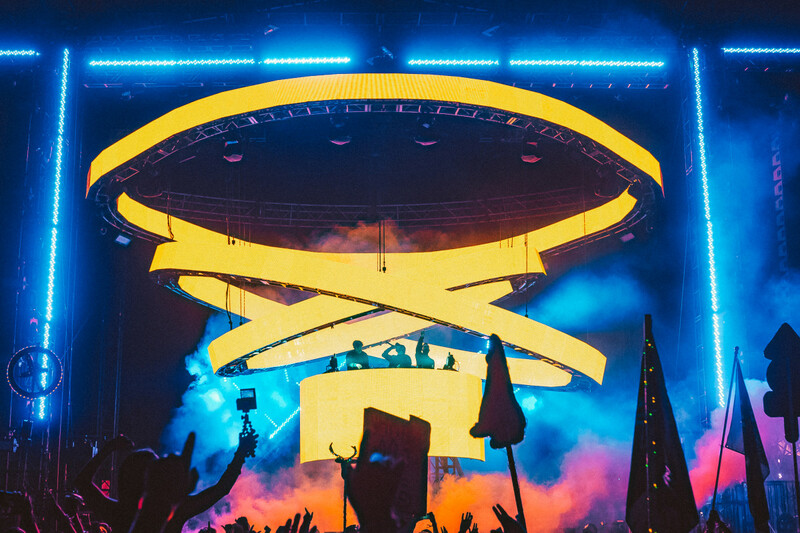 Nocturnal Wonderland has had a chance to really mature and its made its mark on people. Some couples met at that festival and siblings passing down the tradition of taking their youngest siblings to their first rave live on. 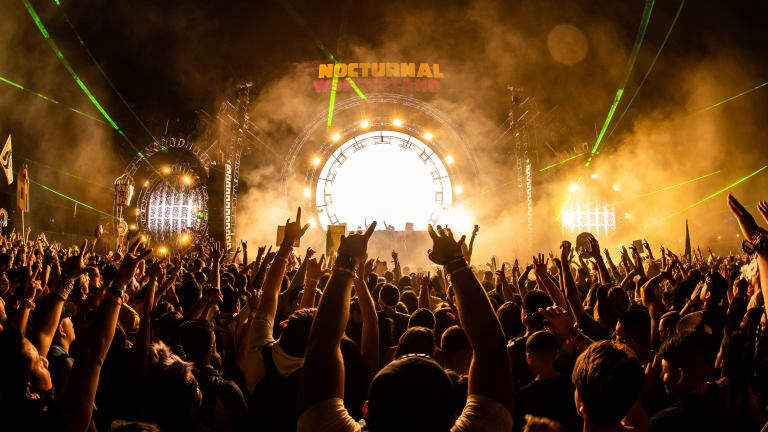 A lot of value and meaning stands behind Nocturnal Wonderland that its easily smelt through the air. My only two suggestions for this festival would be to expand it back to three days because there is so much to do and see that two days is just not enough. Three days gives the options to headliners to basically spend one day at each stage and really immerse into the magic of Nocturnal Wonderland. The other one is to move the water lines not in the middle of a significant walkway because it can become easily congested at times because of this maybe movie it behind where first aid was behind Wolve&apos;s Den so while guests wait in line for water they can see the stage. There is so much history behind this festival that it fills the atmosphere instantly and it helps create the vibe and theme all weekend. Camping will for sure be the next journey and new experience next year. There is a special place for not only California but Nocturnal Wonderland in my heart and these memories will last a lifetime. Thank you to all of the medical professional, police, security, Insomniac, Ground Control, staff, and everyone else that help made this Nocturnal Wonderland possible. Of course, a huge thank you to Mr. Rotella for always putting the guests first and continuing to outshine yourself each year. You help keep the magic of the rave culture alive and well. Nocturnal Wonderland was genuinely remarkable.